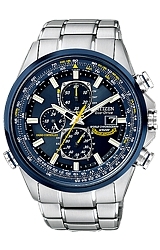 This new model has all the classic Blue Angels features including World Time Synchronized to 26 cities around the globe. 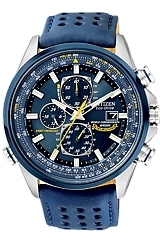 It also features a chronograph, perpetual calendar, ZULU time and a pilot's E6B Computer Bezel. Naturally this watch features Atomic Radio Controlled Time and Eco-Drive "No Battery" Technology.